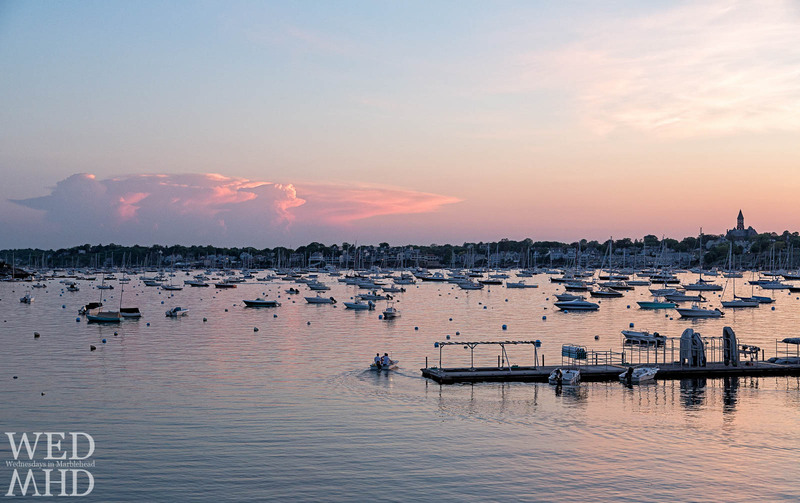 After photographing the cannon firing at sunset from the Corinthian Yacht Club, I headed back to where I had parked on Corinthian Lane and marveled at the remaining colors of sunset as they slowly faded over Marblehead harbor. I setup the camera to capture this scene and the great solitary cloud formation at the edge of the frame when I noted the launch setting out from the Corinthian Yacht Club. I quickly adjusted my settings and captured the added element of people in this landscape scene which ended up being my favorite capture of the set. Hope you agree.